It’s essential for every online fitness coach to create a number of online assets. One of the most important assets you will likely create, is your personal trainer website. No matter what your online fitness business is, a well constructed personal trainer website will build more ‘know, like and trust’ with your prospective clients, and therefore make your fitness business more successful. On its most basic level it should therefore impress your potential clients, tell them more about you, your services and how to get in contact. Every online personal trainer and coach will benefit from having this information on the World Wide Web. However, most personal trainers don’t know how to do it or where to start. In fact, the learning curve to creating a good personal trainer website can feel so steep, it results in many trainers never getting started. Many who do, only feel they have wasted money, time and energy in trying to make it happen. In this article we tackle the essential and most important elements of personal trainer website design, from finding the right template, right up to fine tuning your site for maximum lead generation and conversions. If you don’t currently have a personal training website, this article will show you how. If you’ve been running your own website for years now, I’ll show you how to make it even better. There’s a whole host of benefits to having a website for your online personal training business. Let’s look at just a few of these. 1. It keeps your audience informed. Update clients in real-time, announce new products, services, and coaching packages. 2. It’s always available. Your personal trainer website is a 24/7, 365 days a year shopfront; and it’s accessible from anywhere in the world. 3. It’s an affordable platform. Unlike mass media, a quality web presence and online marketing don’t require a large investment. If done right, the returns are almost immediate; and unlike many forms of traditional media, the results are easily trackable. 4. It boosts your credibility. Having a well-designed, professional looking personal trainer website, will provide credibility to your fitness business. 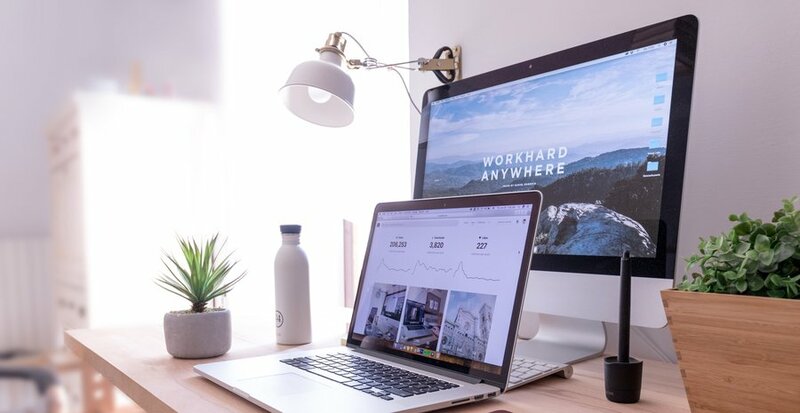 Well written web content will keep your visitors engaged, and encourage them to explore your website and learn about who you are as a business. More and more people are searching for services and products on the web. If you don't have that crucial web presence, you are 'giving' business to those who are. So it’s clear that my recommendations to you are that you will need a personal trainer website. I suspect that doesn’t come as a surprise. However, I wanted to add here, that having a homepage, blog or contact us page that we typically associate with a website, may not be the first thing you want to create for your online personal training. Depending on what you really want to do and achieve online, it may not be an essential requirement for you just now. Perhaps you will need some core pages, like a sales page, application form or an opt-in page in order to get your offer out there ASAP – then I highly recommend doing just that. Don’t get caught up in the finer details if you’re not ready for that just yet. Focus on the elements that will bring you a return in the shortest amount of time. Then you can start to build out other areas of your site, when you are ready. If creating a fully functioning, all singing and all dancing personal trainer website is going to be a huge hurdle for you and keep you back from seeing a return from your efforts for months, then create the minimum you need to get your online personal training out there and into the world. We'll start by looking at our core platform. Now this is what your site is actually going to be built with. So this is the foundation if you will and what you choose for your core platform will affect all the other software that you can use in your site. My go-to, recommended tool is WordPress. There are some other options however, you could use another web platform such as Squarespace or Weebly. I don't tend to recommend it but you can use other options. And if you're looking for something really simple to get you started, then you might want to give those a try. If you simply want to create some simple landing pages for opt-ins and sales pages, without the need for a complete website platform like WordPress, then something like Clickfunnels and Leadpages work really well for doing this. So if you don’t want or need a fully functioning website and just need some key pages to drive traffic to, then check out those. You’re also going to need a domain name at this stage. Choosing the correct domain name is a critical decision when first building your personal trainer website. After all this is how people will find you. Aside from your visitors typing out your domain, it will be used in search engines to drive more traffic to your site. It therefore links to keywords in search engines and is the clearest guide to search engines that your site is relevant to its audience. Therefore as a coach or trainer, your site might be best named after you, if that is what people will be searching for. Or if you offer a particular service or products, you should have a domain name that reflects this. Top Level Domains - This is the final part of the web address, such as ‘co.uk’ or ‘com’. Using ‘co.uk’ means you are primarily targeting a UK based market, while ‘.com’ is international. This doesn’t make a huge difference as to what one you decide on, but it is best if you can purchase both. You may find that the name or domain you want is already taken, so you will therefore need to think of something different. No businesses will appreciate you creating a domain that is very similar to theirs, so do not copy them. There are also a number of other level domains available, such as ‘biz.co’ etc, yet these do not appear to be any more beneficial over the traditional top level domains. You can purchase your domain name through your hosting company, but I suggest you don’t and keep that separate to your hosting account. I therefore recommend using GoDaddy to purchase your domain names. But please don’t use them for your hosting. Your personal trainer website is a document that people view. It needs to be stored somewhere so that everyone can have access to it. You will need to pay someone to host this information for you. Once you design your website via a CMS, you must then upload it to a server for hosting. After you do this, everyone gets access to it by typing in your domain name. 1. SiteGround – this is good hosting company with great support – plus, if you need any help with installing WordPress and getting your login details, then they also offer a 1-click install when you first take out your hosting package with them. 2. WP Engine – this is also a great choice for your WordPress hosting. Wp engine is more expensive but as the saying goes you do get what you pay for. For a higher monthly fee you’ll get a faster loading site, daily back-ups in case something ever goes wrong, faster support and generally a better all-round service. If your budget permits, go with WP Engine. It’s totally possible to get straight to work now and create a nice-looking personal trainer website within your WordPress Dashboard. To do this, you will need to decide on your theme, download some plugins and start connecting the dots to make it all work. OR, and this is what I highly recommend you do, you purchase Thrive Themes and it will make the entire process much easier. So, what is Thrive themes? It’s a conversion focused WordPress based platform that provides you themes & plugins. Basically, they have created an incredible tool that integrates with your new WordPress platform that makes creating and growing a great website possible. It’s built from the ground up to make your entire website convert more of your visitors into subscribers, customers & clients!​ So it helps you do your online fitness marketing too. 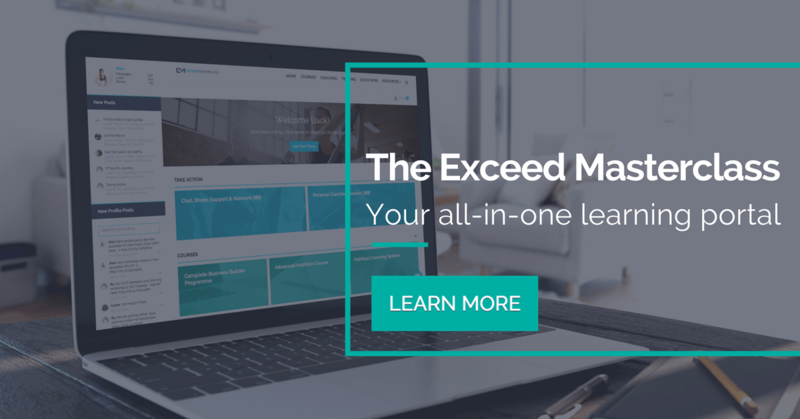 I have used it for many years and both my Exceed Nutrition and Exceed Masterclass websites are built entirely with Thrive Themes. Everything that you see on my websites, is thanks to the incredible features that Thrive Themes offer. I cannot recommend it highly enough. The next thing you want to consider is your content part of the site, which actually includes various content types. As an online personal trainer, you will be creating lots of free and paid content. The massive downside to storing files (like video or ebooks) on site is that they might cause site performance issues. And by that I generally mean that they're going to slow the site down a hell of a lot. Now if you're just going about uploading one or two small documents, you can probably get away with it no problem. However if you're uploading a lot of files that are one megabyte or bigger then you will quickly notice a difference in how your site performs and it's important with any personal trainer website to make sure that it loads quickly. For that reason I generally don't recommend that you store your files on your site. Unless you're running a completely free online program or service then you're going to need a way to get paid. It will probably come as no surprise to you that the first option we're looking at is PayPal. Now you've got two options with PayPal – you’ve got a standard business account or Paypal pro. PayPal business is free whilst the pro account is more of a merchant account and has a monthly cost attached to it. The benefit to using a paypal standard account is that it is really quick and easy to get started. It's still one of the quickest and easiest ways to start taking payments online and is very trusted amongst users and most of your clients will likely already have an account and it generally integrates with pretty much anything out there. Another popular option these days is Stripe - and like PayPal this allows you to set up an account quickly and easily without jumping through a lot of hoops. From experience, creating and growing an online community, be it a free or paid community, is an essential ingredient for successful online personal training. The main option for creating your own standalone community is an on-site forum. These are great for keeping all the discussion about your program or service on your site where you have full control. The other great thing about forums is that they tend to offer a greater feature set than the other options. This includes things like private messaging, better styling for your posts, more media options, the ability to add a signature to the bottom of your post, and the ability to post statuses or to create your own forum profile. The downside however is that it does rely on clients logging into your site to use it. I use Xenforo for my Exceed Masterclass program. More popular these days, and what I recommend to most trainers starting out with community building, be it for your paid or free work, is a private social media group. The most common here is a Facebook group and we probably all belong to at least one of those but LinkedIn groups and Google Plus groups are also possible and one of those might work better for you than Facebook, depending on where your audience actually hangs out. The benefit to these groups is that your audience will usually be using the platform anyway which can lead to increased engagement. The downside though is that they don't offer a lot of control. We're now going to take a look at the support element of your personal trainer website. On its most basic level, you might just want to add a contact form to your site. Or if not a contact form then at least contact details where your website visitors or clients can reach you so it could be an email. It could be a phone number or it could be a Skype - just have some way for visitors or clients to get in touch with you, should they need support. You might also consider a support desk or ticketing software. These will essentially provide a central resource for any messages, you can then select the best person to respond to those messages and you can also keep track of any replies to your messages. I recommend using Intercom for this, or a free tool called R﻿esend.io. Nowadays there’s a lot of online personal trainer software available to us for specifically helping online clients – you might have even tried a few in the past, or even have some software you currently use. I personally recommend Trainer Pulse, which is one of the most complete online coaching software’s that I’m currently aware of. It really is everything you need to market, sell, deliver & track your online programs. In fact, you may even find that this is the only piece of software you need right now to get started with online personal training, because it includes many of the tools that we have already discussed in this article. Trainer pulse includes the typical client tracking and programming options that we associate with personal training software, but goes beyond that by offering a simple drag and drop sales page creator and an in-built email marketing platform. Plus, it integrates with Stripe, which is one of my recommended payment processors too. So it ticks a lot of boxes and I urge you to check it out, if online personal trainer software is something you want to use. Keep your personal trainer website simple as possible to begin with – don’t be freaked out by all the recommend tools and software that you need to pay for in order to start creating your personal trainer website. You may not need all of these right now, so take some time to go through this article again and highlight what you really need right now. 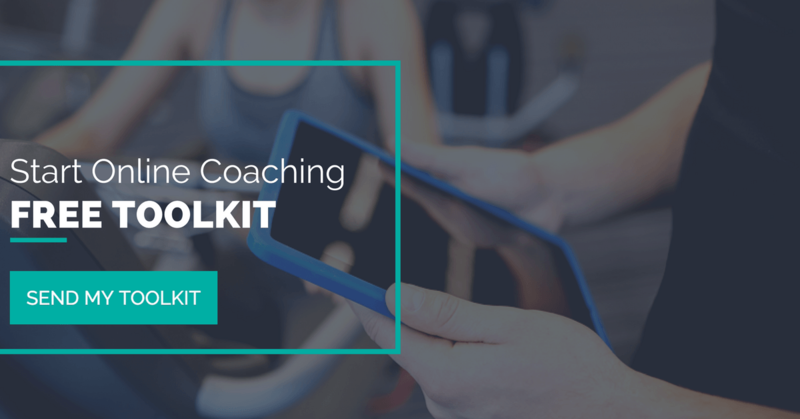 Ready to confidently create and grow your online personal training business? Join me and I’ll walk you through the exact steps you need to take in order to get started online and my proven strategies on how to become an online personal trainer.